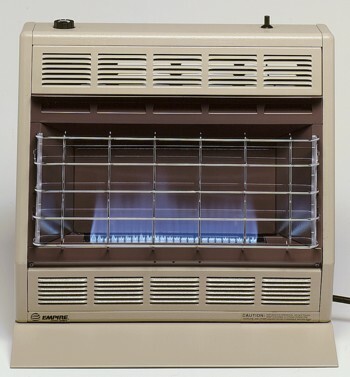 Empire has a complete line of space heaters, blue flame heaters, radiant infrared plaque heaters, vented furnaces, cast iron stoves, direct vent fireplaces, vent-free wall furnaces, vented wall furnaces, gas logs, vent free fireplaces, vent free fireboxes, fireplace inserts, floor furnaces, and cooking stoves. Gas can heat your home for a fraction of the cost of electric heat, and advanced gas heating technology makes these heaters (shown on the left) 80+% efficient. The High-Efficient Direct-Vent Wall Furnaces are available in a range of sizes to fit your needs. 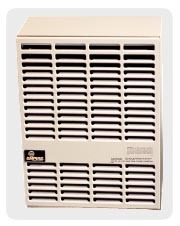 The 20,000 Btu DV-20E is ideal for heating basements, family rooms or several small rooms. The DV-40E and DV-55E are perfect for heating large family rooms, offices, apartments or even entire homes. Clean and cost-efficient comfort makes the DV-210 and DV-215 (shown on the left) the perfect heaters to add soothing atmospheric warmth to your smaller-size rooms. The slim, compact design of each unit allows it to tuck out of the way on any outside wall. They use no electricity and are ideal for bedrooms or studies since each unit vents directly to the outside. Housed in durable, textured cabinetry with a beige color, these wall furnaces will add endless comfort to any application. 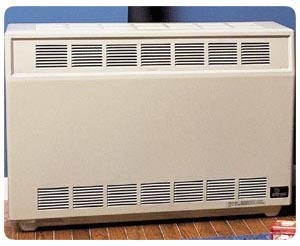 Heating larger areas is convenient and economical with Empire's Direct-Vent DV-25 & DV-35 units. Delivering ample, room-filling warmth, each furnace is stylishly crafted and fits against an outside wall. 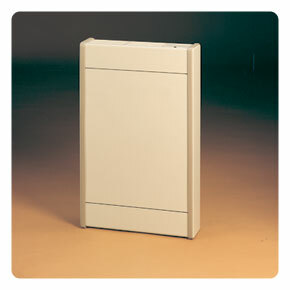 Empire MV series direct-vent heaters (shown to the right) are slim and compact, complimenting any room décor. 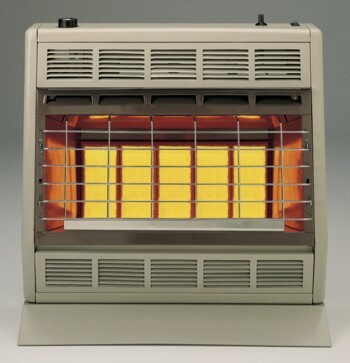 The powerful heater takes in outside air for combustion through a specially designed double-wall vent. All the by-products of combustion are vented directly outside and have a modulating hydraulic thermostat with piezo standing pilot. Maximum air flow and heating are the strong points of the RH-25 and the RH-35 Console Vented Room Heaters. Delivering atmospheric warmth to your medium-sized rooms, each unit is designed for style and efficiency. The heat can be further enhanced with an optional internal blower for added circulation. 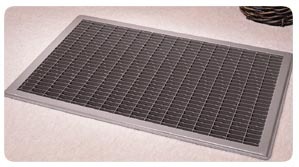 Ideal for medium to large rooms, each unit vents with standard vent pipe. Housed in durable, textured cabinetry with a beige color finish, these room heaters will add endless comfort to any room. America's most popular floor furnace because it provides total comfort for a fraction of the cost of electric heat. Requires no electricity to operate. Model 3588, 5088, & 7088 furnaces are regulated by a wall thermostat and are capable of heating the whole house. Heating large areas is easy with Empire's Vented Room Heaters. With their efficient heat flow, the durable RH-50B and RH-65B offer ample warmth that makes any room comfortable. The one-piece glass enclosure allows you to see the flame as it heats while the optional ceramic logs add a fire-like glow. The closed front on the RH-50C and RH-65C easily fits in any decor. Radiant and convection heat circulates the warmth while the blower circulates warm air throughout the winter season. The hydraulic thermostat needs no outside electricity assuring reliable, round-the-clock comfort. Each unit can be installed easily with standard vent pipe. The BF-10 and BF-20 produce an inviting atmospheric warmth quickly and efficiently. The BF-10 is equipped with a hydraulic thermostat with a constant 10,000 Btu input, while the BF-20 is equipped with a modulating hydraulic thermostat that modulates from 8,500 Btu to 20,000 Btu for continuous temperature control. The BF-30 offers the visual warmth of an alluring blue flame with a hydraulic thermostat that modulates from 8,500 Btu to 30,000 Btu for continuous temperature control. Space-saving efficiency and top-mounted controls make the SR-6 and SR-10 the outstanding heaters to add radiant heat to your smaller rooms. Where local codes permit, the SR-6 is ideal for bathrooms and, when allowed, the SR-10 and SR-10T for bedrooms. For added convenience, model SR-10T is equipped with a thermostat control. 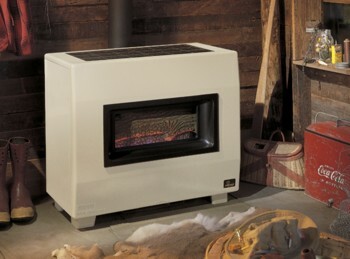 The trim design and generous output of the SR-18 enhances medium-size rooms with cost effective warmth. The SR-18 has manual controls for settings of 6,000, 12,000 or 18,000 Btu. In addition, the thermostat on the SR-18T lets you easily maintain a convenient "hands-free" temperature all day and night. When heating large areas, the SR-30 and SR-30T quickly fill rooms with 30,000 Btu of warmth at the touch of a button. The SR-30 has manual controls for settings of 6,000, 18,000 or 30,000 Btu. The thermostat on the SR-30T offers you round-the-clock comfort and convenience. *Freight carriers sometimes charge a one time residential fee that the customer is responsible for. UPS items do not have a residential delivery fee. We can not ship to Canada, Alaska, & Hawaii. ©2014 New Beginnings Management Company, Inc.